How did Cox Business and Hospitality Network do at CES this year? Take a look. 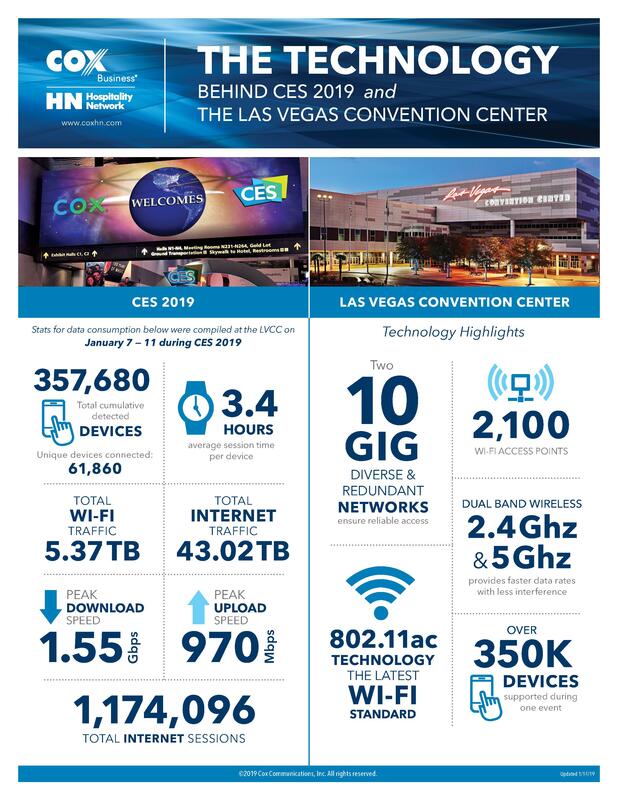 In addition to creating high-speed connections for businesses and homes when the best of CES hits the market, Cox Business powers all the wired and wireless infrastructure today on the Las Vegas Convention Center show floor at the Consumer Electronics Show via its Hospitality Network division. Learn more about Cox Business and the Hospitality Network at CES.